You don't have to starve on a 1,200-calorie diet plan. Choose whole foods to satisfy your hunger. Eat three 300-calorie meals and two snacks that equal about 150 calories each. If you'd rather have a 400-calorie dinner, cut snacks to 100 calories each. Find what works for you. This slideshow provides a variety of ideas to include in your 1,200-calorie diet sample menu. When you choose whole grain bread for your diet, check the label first because calorie content can vary from as low as 50 calories per slice to more than 120 calories per slice. For this 1,200-calorie plan, count the bread at 65 calories per slice. 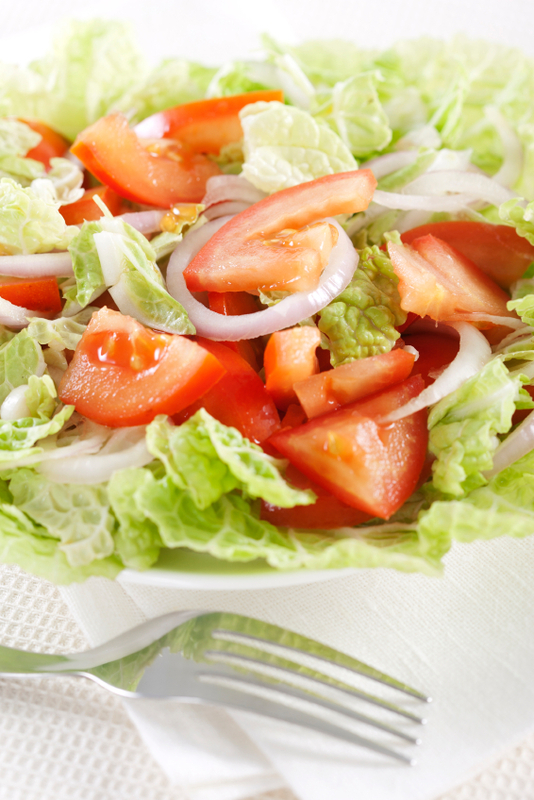 Small salad made with dark green lettuce, tomato, and cucumber and topped with salad dressing that equal 40 calories. No matter what you choose to fill out your 1200-calorie plan, be sure to include at least 64 ounces of pure water in your menu. This succulent steak dinner is a great way to finish your day.